This is a growing artisanal charcoal brand specializing in high quality charcoal and wood chips, with an emphasis on superior flavor and natural ingredients. A subsidiary of Duraflame, we are working to grow this brand utilizing online mediums to increase brand awareness, launch new products and build a robust digital media campaign with award-winning web design. E-commerce, CRM and database management have allowed us to successfully drive consumer participation in promotional sweepstakes and giveaways with great response, and the brand is gaining major market share. 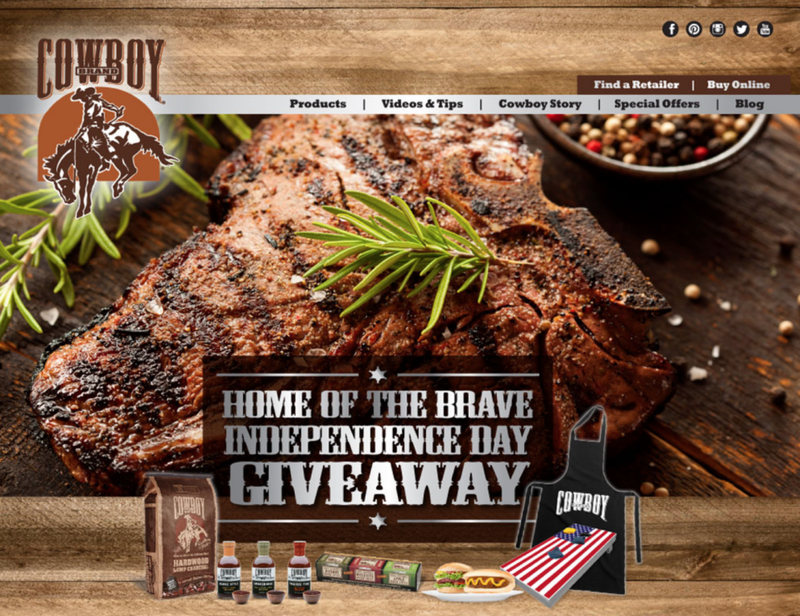 In 2016, Cowboy expanded to release it’s own barbeque sauce line to great success.